When Swedish sports star Sven Tumba picked up a golf club in the mid-60s, golf in Sweden took off like a Saturn rocket with boosters. Almost overnight, golf in Sweden went from a dalliance of the posh to a sport for the middle class. Golf became so popular that over 500 golf clubs were started and golf players grew to almost 600,000 in four decades. The sport was so in demand that there were waiting lists for membership at many clubs. As club members became share holders in the club, like in any bull market share (membership) prices went through the roof. Around 2005, golf in Sweden had something happen that never happened before. The Golf Federation of Sweden saw membership and rounds of golf drop for the first time since the Tumba effect. Forty years of meteoric growth came to a screeching halt. A variety of reasons were given and still are given ten years later: too expensive, too long to play, too hard to learn and the explosion of internet and video games sabatoged people from playing golf. There were panels, discussion groups and consultants discussing the problem, but no solution has been found. Sweden finally was part of the world wide problem of fewer golfers playing. Golf clubs in Sweden, for years insulated from this global slowdown, now saw themselves in a dilemma. While costs of operations grew, income from membership fees and daily green fees was shrinking. Many clubs opted to get out of the membership share holding formula and looked for other ways to increase income. One common way was to cut back on costs, including course upkeep. Another idea was to offer low membership fees that gave golfers their necessary SGF membership. These “mail order” clubs increased membership (some to a couple of thousand ) to raise the golf club’s gross. Around 2010, if my memory serves me, there began loose associations of local golf courses uniting to offer members of one club the opportunity to play at another for a limited amount of rounds. Then, club packaging began where, under one membership fee, you had membership privliges at the sister clubs involved. In 2014, a group was formed in Stockholm that took the multiple golf course membership to a new level. Calling itself, Unipeg (“peg”is Swedish for tee) the company has a vertical marketing plan. The plan is that a Unipeg member would be able to, for instance, purchase clothing and equipment, book golfing trips, or lessons within Unipeg. To make this plan work they needed members so they began to take over operations of golf courses in the Stockholm area at a furious rate. This rapid growth gave Unipeg over 22 000 active members and players. In addition to games on 17 courses in the Stockholm area. At about the same time, the Kalfors GK, a very successful family run golf operation in the area just south of Stockholm, had a slightly different approach. Because of their success, Kalfors needed more golf holes to meet the increasing demand. 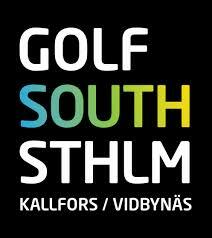 In a mutual decision, there was a merger between the two clubs, forming the group, Golf South STHLM. Members from each separate club are now members of this new union, giving the players 72 golf holes to play. The bonus is that these golf courses are the #1 & 2 golf courses rated for the area. Last month, another family operator, the Rönnebäck Golf Club, acquired the floundering Malmö City golf club. 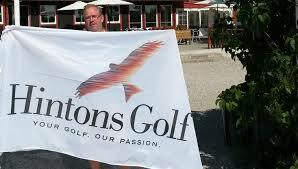 They will operate under the banner of Hintons Golf AB. Well, how has this trend worked for these organizations? 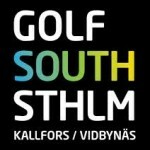 We asked Pelle Sättare, CEO of Golf South STHLM and Johan Hinton of Hinton Golf about that. So, how’s that working out for you? “Very well,” said Pelle. ” Membership increased by a net 25%. Rounds played went up by 32%. While income from daily fees remained fairly flat, membership rounds played was increased.” The operation side of the golf courses was merged under the Golf South umbrella but, for the time being, maintenance is being handled by the individual golf courses. 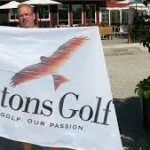 Hintons Golf will now offer three courses for one membership fee. In the immediate works are to improve the clubhouse, parking lot and driving range at Malmö City. “By doing this, it will have a positive effect on Malmö’s members. All our members now get more golf for their money.” Hintons Golf AB oversees the management of both clubs, while each club still supports its own men and women players clubs. As for Unipeg, after a whirlwind pre-season, they’ve been quietly instituting and ironing out the mechanics of getting 17 different clubs on the same page. They closed the downtown retail store for the summer. However, on September 3, 2015, they are hosting a day long event with golf for their business and supplier friends. I can only guess, but I would think there will be some important information about their direction coming out of that gathering.